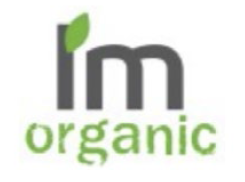 The EUIPO stated that “I’m organic” would be understood by a consumer as “I am of organic origin”. It found that the word element of the mark “I’m organic” “immediately and without the need for further reflection” informs a consumer of the organic origin of products or services. The use of the graphic of a green leaf also indicates the natural origin of the products. Therefore, the EUIPO decided that the mark is descriptive in nature and does not possess the required degree of distinctiveness. The relevant consumer group would not perceive the mark as indicating that goods bearing it derive from a specific manufacturer. The applicant did not agree with the EUIPO’s assessment and, in a written statement, argued that the mark is not directly descriptive in nature. The applicant also stated that the mark contains an original, distinctive graphic design, font and “flaked” effect, thereby creating a fanciful mark that is distinct from others operating on the market. The EUIPO, however, maintained its position and refused to register the mark. The applicant appealed against that decision. In the justification to its appeal, it claimed, among other things, that the phrase “I’m organic” is new and original for the products and services concerned, can be understood by consumers in many ways, and that the mark is visually fanciful due to the use of a leaf rather than an apostrophe. The Board of Appeal upheld the decision of the EUIPO. It found that the claim that “I’m organic” can be understood in different ways was not supported by any evidence. The Board of Appeal pointed out that, for a given mark to be deemed descriptive, it is sufficient that “one of the possible meanings is descriptive in relation to the goods and services the submission concerns”. The Board of Appeal found that “I’m organic” is merely of a descriptive nature. It also noted that the meaning of “I’m organic” can have promotional or advertising value, praising the good qualities of the goods and services for which it was submitted. A trademark that fulfils functions other than indicating that goods or services derive from a particular producer is distinctive only when “it can be directly perceived as an indication of the commercial original of the goods or services it refers to, making it possible for the relevant consumer group to distinguish, without confusion, the goods and services of the owner of the trademark from goods or services having a different commercial origin”. The Board of Appeal found that this feature was absent in the case at hand. The Board of Appeal also found that using a green leaf instead of an apostrophe, and the “flaked” effect of the colour green in the word “organic”, are only decorative in nature. Furthermore, they are commonly used in order to emphasize the organic (natural) origin of a product. In the opinion of the Board of Appeal, these graphic elements do not in this case confer distinctiveness, and the mark remains merely descriptive. The Board of Appeal issued a decision stating that, in this case, there were absolute grounds for refusing to register the mark (Article 7 par. 1b) and c) of Regulation 207/2009), and that, therefore, the sign cannot be registered as a Community trademark.